Almost a third of SVC's partners have departed since the agency struck a deal with a private equity firm last year. 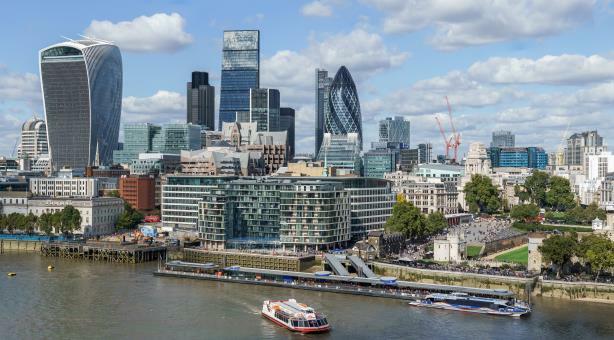 Sard Verbinnen & Co. lost two partners in its London office last month, the latest in a string of departures from the firm. Partners Michael Henson, a seven-year veteran, and Jonathan Doorley, an 11-year veteran, left the firm in July. The pair co-led the London office. Doorley was part of the team on Bayer’s $66 billion pending acquisition of Monsanto, while Henson handled work on the British American Tobacco-Reynolds deal. "Sard Verbinnen is 100% committed to being in London and Europe," an agency spokesperson said. "We appreciate Jonathan and Michael’s contributions in launching the new office and wish them well. Our team continues to serve clients from London, and we expect to have significantly expanded capabilities there in the near future." It wasn’t immediately clear who is managing the London office. Principal Elizabeth Smith is the most senior employee listed on the firm’s website. Last summer, the firm’s 27 partners agreed to sell a minority stake to San Francisco-based private equity firm Golden Gate Capital. The 40% stake was sold for $60 million, according to The New York Times. As the firm changed its strategic direction - a SVC spokesperson disagreed with the term strategic direction - several partners headed for the exit. It has lost almost a third of its partners since the deal. The first wave of departures took place during negotiations after founders George Sard and Paul Verbinnen asked all partners to sign a noncompete and nonsolicitation agreement, according to the Times. Jonathan Gasthalter, Dan Gagnier, and Renée Soto resigned as a result, according to the newspaper. General counsel Hugh Burns, MD Paul Caminiti, and MD Brandy Bergman also exited last year. After striking the deal with Golden Gate Capital, Sard Verbinnen began an expansion plan. It acquired ARC Research last September and launched an independent advisory group two months later. This year, it opened offices in Houston and Hong Kong. In the first half of this year, Sard Verbinnen led media analysis and data company Mergermarket’s rankings for working on the most mergers and acquisitions both in terms of deal count and value. All parties reached by PRWeek declined to comment. This story was updated on August 3 to correct Doorley's role on the Bayer-Monsanto deal.